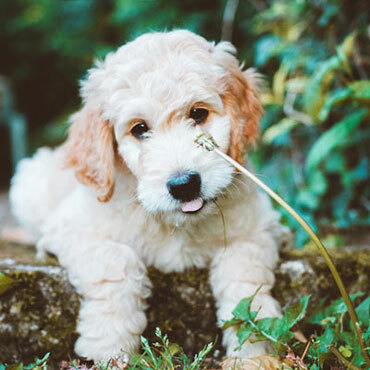 We are a premium network of the country’s top Labradoodle breeders, and our mission is to deliver happiness through the power of puppies. 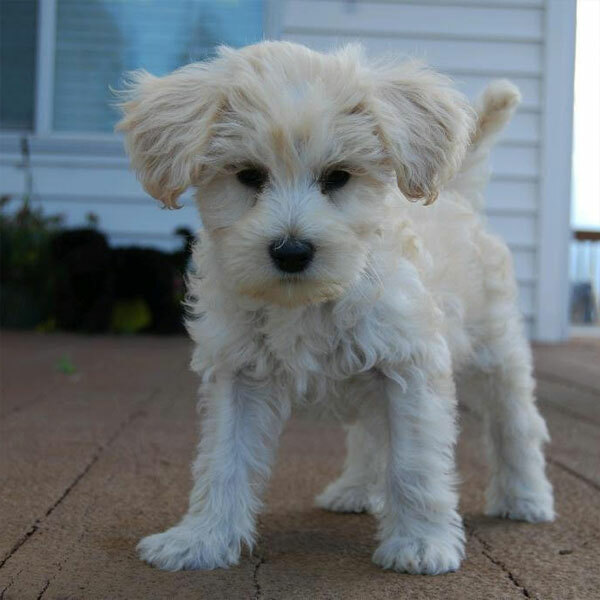 Adorable, friendly, hypoallergenic and so much more, Uptown Pups are truly the pick of the litter. 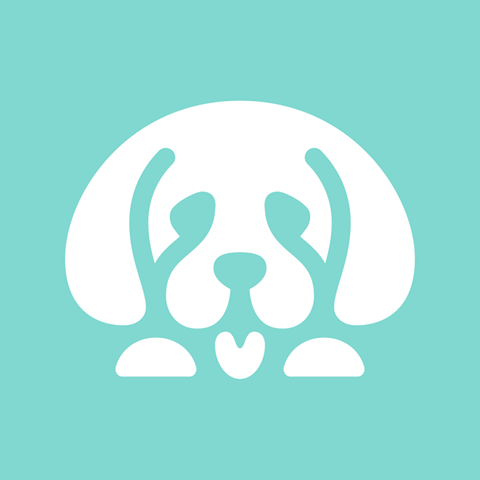 The best breeders raising the best dogs for the best families—that’s what we’re all about. When you’re looking for a new companion, a best friend, and a cherished new addition to the family, there’s no better place to be than right here! 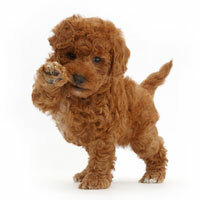 Our Labradoodles don’t shed, and they won’t trigger your allergies like so many other breeds. 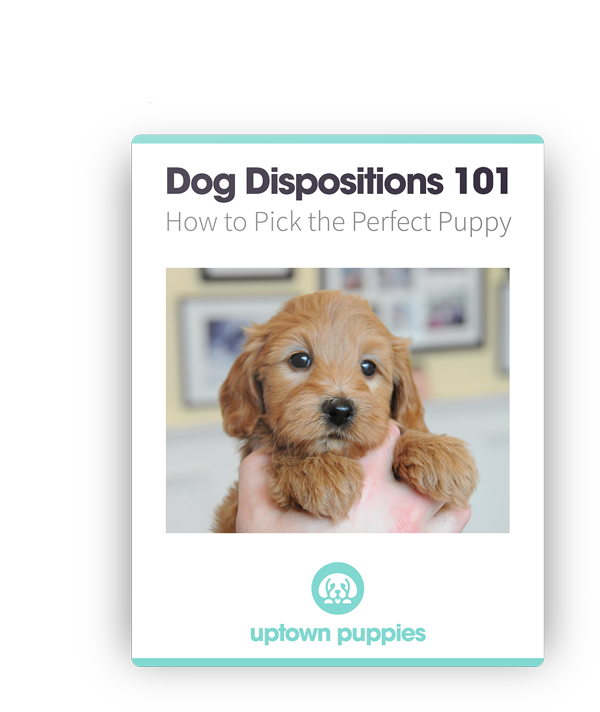 Uptown Puppies are the perfect choice for people who love dogs but hate dealing with allergies or piles of hair on the carpet. 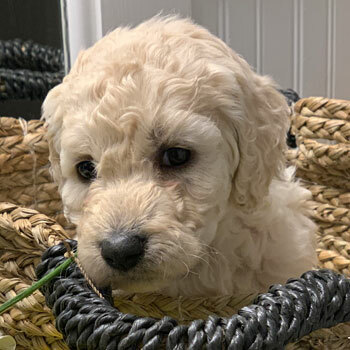 Take a cute breed like Labradoodles and selectively breed them to be even more adorable, and you wind up with Uptown Puppies. 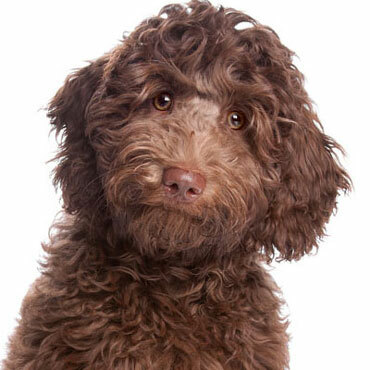 Our dogs are so cuddly and photogenic, it’s no wonder so many wind up with their own Instagram followers. 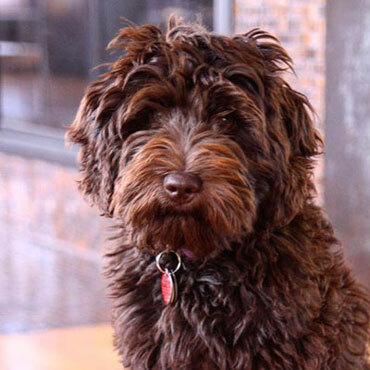 Australian Labradoodles are known for being patient and friendly. 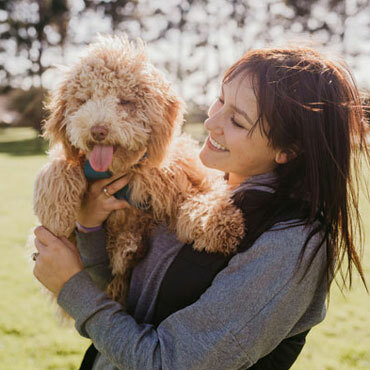 These dogs make incredible companions, whether you’re searching for a friend on your daily jogs or a cuddle buddy for your afternoon naps! 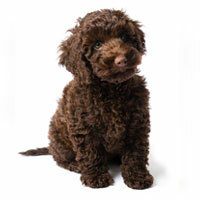 Due to their unique parentage that includes the eager-to-please Labrador Retriever and the super-smart Poodle, Labradoodles are quick learners. 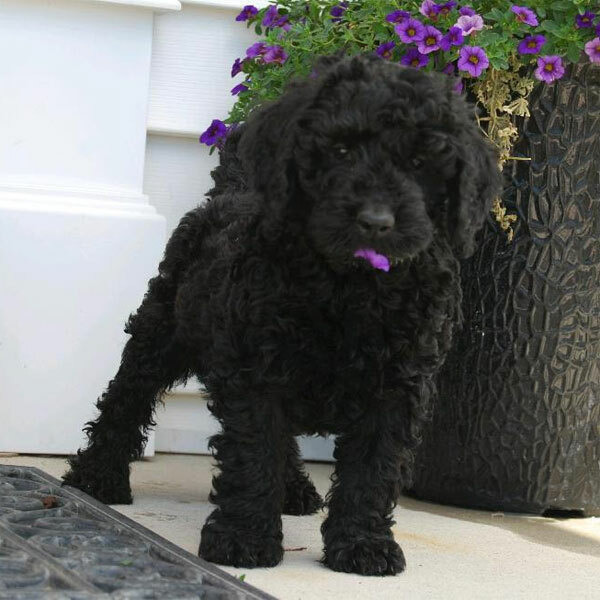 From simple tricks like “stay” to complex stuff like “wash the car,” training your Doodle pup is a cinch. 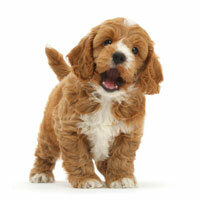 Australian Labradoodles are very adaptable, which means they fit well with many types of homes and families. 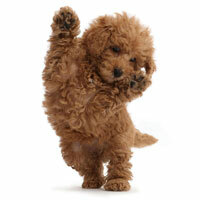 Whether you’re outgoing, quiet, relaxed, active, have kids and pets (or don’t), Labradoodles just love people. 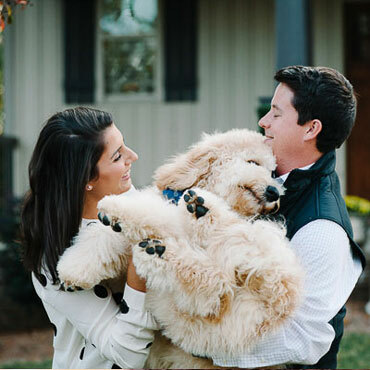 We’re thrilled to be able to offer so many amazing coat patterns and sizes for our puppies, and choosing your dream dog is what makes the Uptown experience so special. Big or small, odds are pretty good your new best friend is waiting at Uptown. 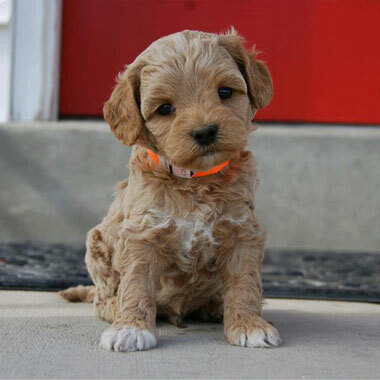 Our premium breeder network is made up of folks from around the nation who share our breeding standards, passion, and love of Doodles. Our network allows us to provide these amazing dogs to families in every state—including Oklahoma. Our breeders combine a system of guardian homes with both breeding age and litter count limitations to keep our mommy dogs happy and healthy. 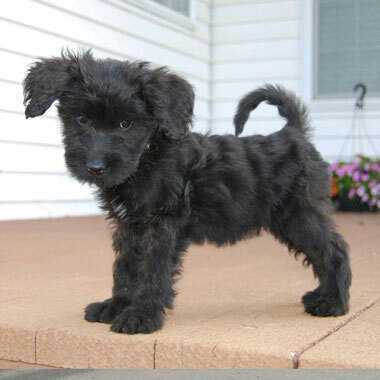 And of course, our pups get to enjoy the absolute best living conditions we can possibly provide. 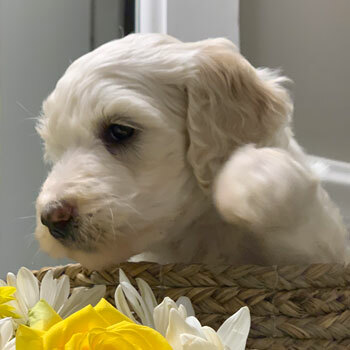 We want each and every puppy we raise to be just as healthy and friendly as the last, which is why we work so hard to improve our genetic lines with every litter. 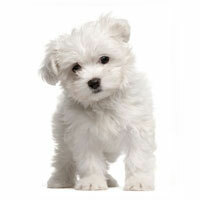 Uptown Puppies are bred to be friendlier, healthier, more hypoallergenic, and cuter...period. 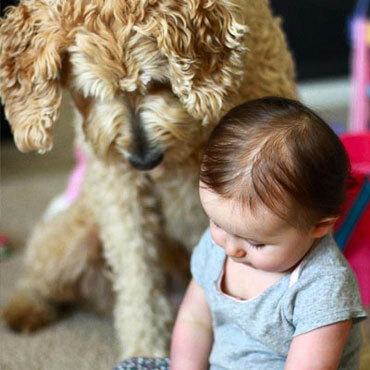 Doodles are like family to us, and we want you to enjoy life with your new Labradoodle for as long as humanly possible. 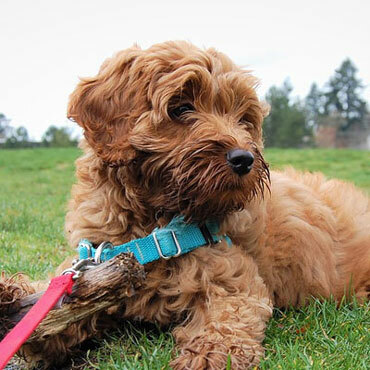 To help you raise the ultimate pooch, we also provide top-notch food, effective supplements, and in-depth training materials all geared towards Doodles. 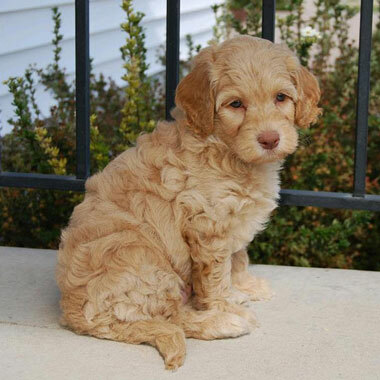 Since Labradoodles come in so many sizes, it’s easy to find one that perfectly suits your home and family! 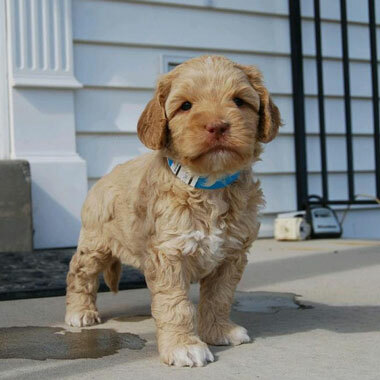 Miniature Labradoodles are tiny dogs with big personalities. These fluffy little guys are the perfect size to take on all of your daily adventures! 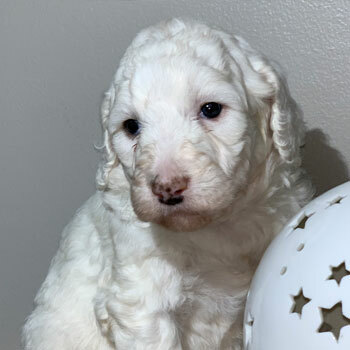 Medium Labradoodles sit right in the middle between our big and small Doodles, and they’re the perfect size for families who just can’t make up their mind! 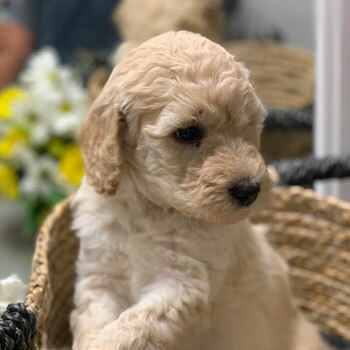 When you just have to have the full-sized Labradoodle experience, it’s time to take home one of our Standard Labradoodles for a companion who’s full of love and full of life. 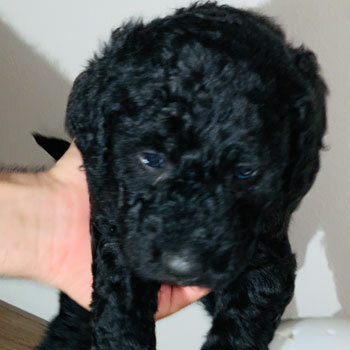 Labradoodle puppies for sale near me in Oklahoma! These pups are ready to go to their forever family. 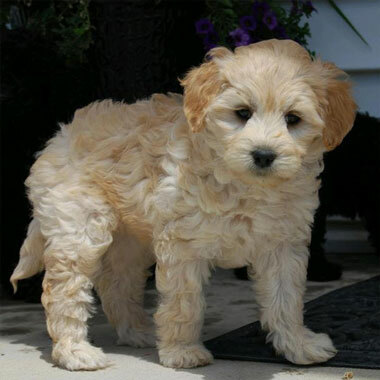 Australian Labradoodle prices vary a bit from breeder to breeder, but our dogs are priced about average at $3500. 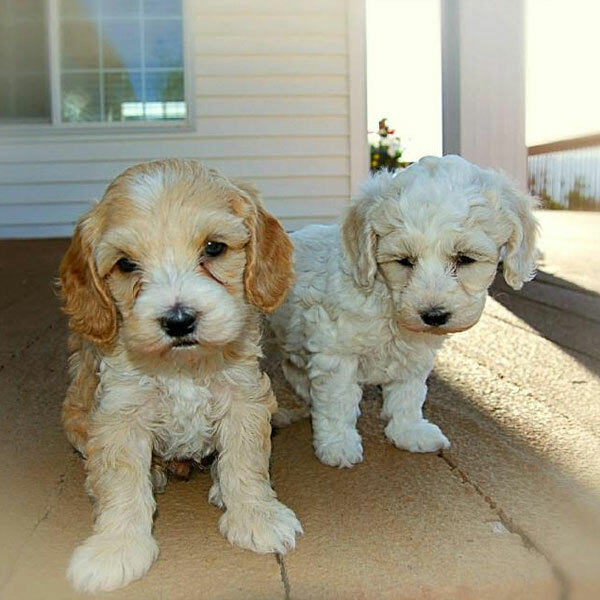 Just look out for breeders selling Labradoodles for prices that are “too good to be true,” because you might be talking to a puppy mill. 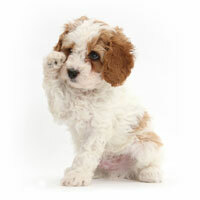 If we can’t find the perfect dog at one of our local Oklahoma breeders, we can still ship your puppy from out of state. 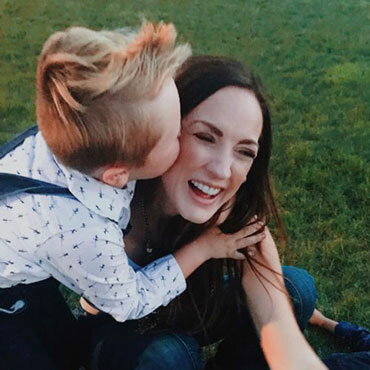 Just be sure to show your new friend some extra love when he or she arrives! 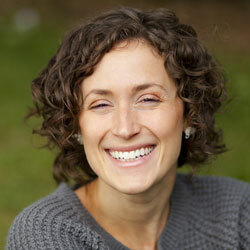 Choosing your favorite size and color from our huge selection of options is all part of the fun. 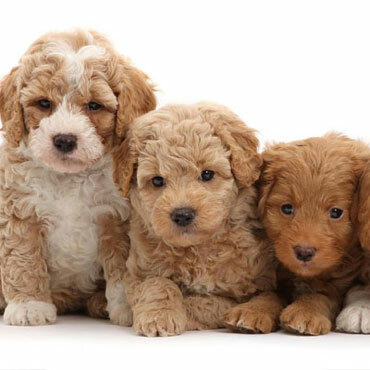 Just remember that we aren’t a puppy mill, and we can’t guarantee every coat color or size at all times. 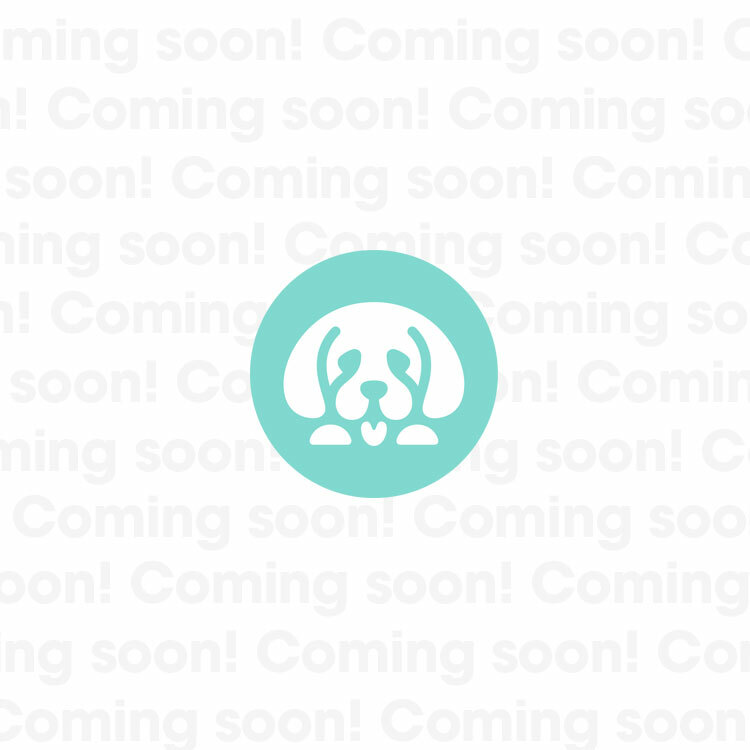 If your preferred puppy isn’t available at any of our breeders, you might have to join our waitlist until the right one arrives.